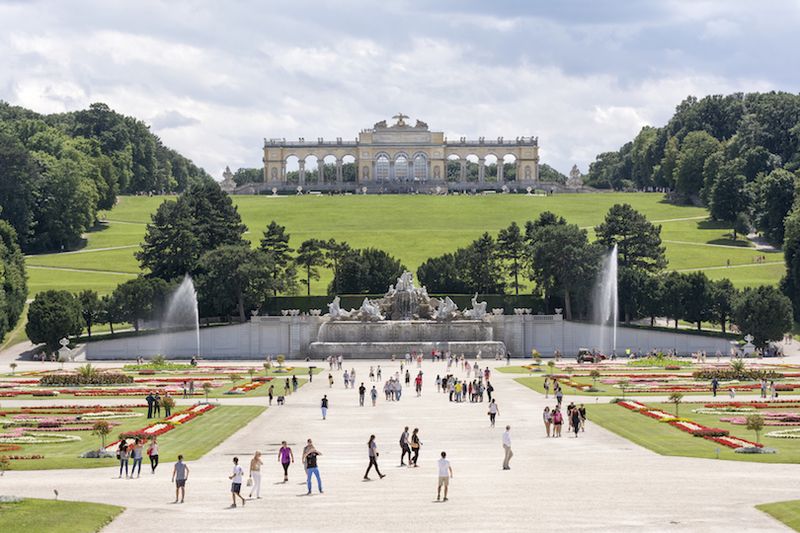 The capital of Austria and the largest city in the country, Vienna is truly magical. No wonder it is considered extremely high amongst the world’s best cities to live in. 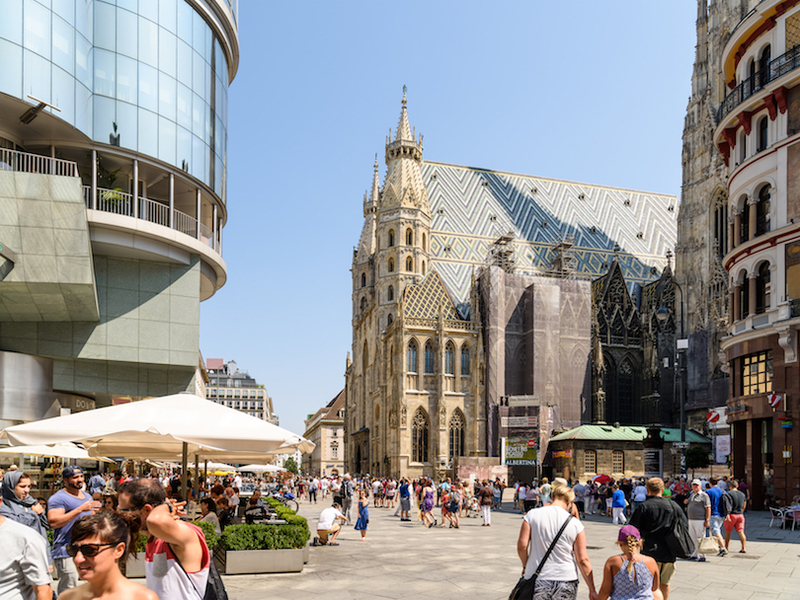 With approximately 1.8 million people living in the city, Vienna is known to have the second-largest concentration of German speakers (first being Berlin). 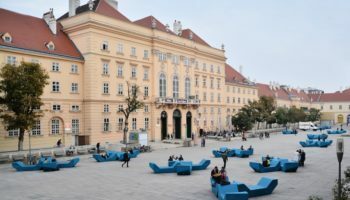 Often dubbed as the “City of Music” because of its legendary musical legacy, Vienna is known to have played a significant role in the history of European music – starting at the Viennese Classicism and up until the early 20th century. 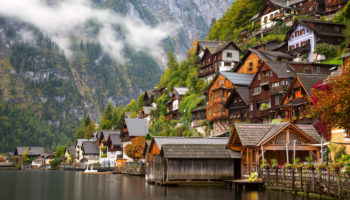 Also known as the “City of Dreams” (because of being Sigmund Freud’s birthplace – the first psycho-analyst in the world), Vienna is filled with history, architecture, music, art,, and so much beauty. 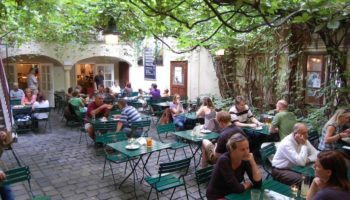 If you are in Vienna for an extended weekend or a small trip and only have 3 days in the city, you have to plan your days smartly so you get to explore all the important sights as well as have enough time for a bit of fun and entertainment. 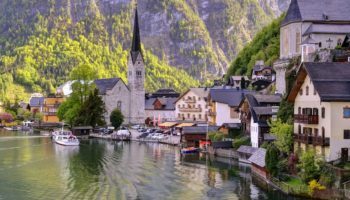 One of the first things you should do is research online to see the features and benefits of a Vienna Card and Vienna Pass. 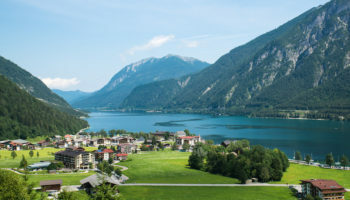 While the Vienna Card has been in existence for many years and is the cheaper option, the Vienna Pass offers a lot of additional features that may be of interest (including unlimited use of hop-on-hop-off services throughout the duration of your pass validity and free entrance to over 60 top attractions) . 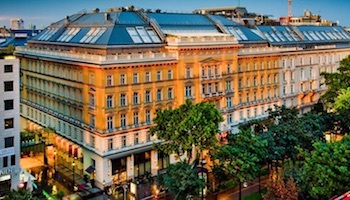 Start your first day in the beautiful city of Vienna with a delightful Viennese breakfast. Le Bol is a cozy French café which serves mouth-watering breakfasts – you must try their Croque-Monsieur! 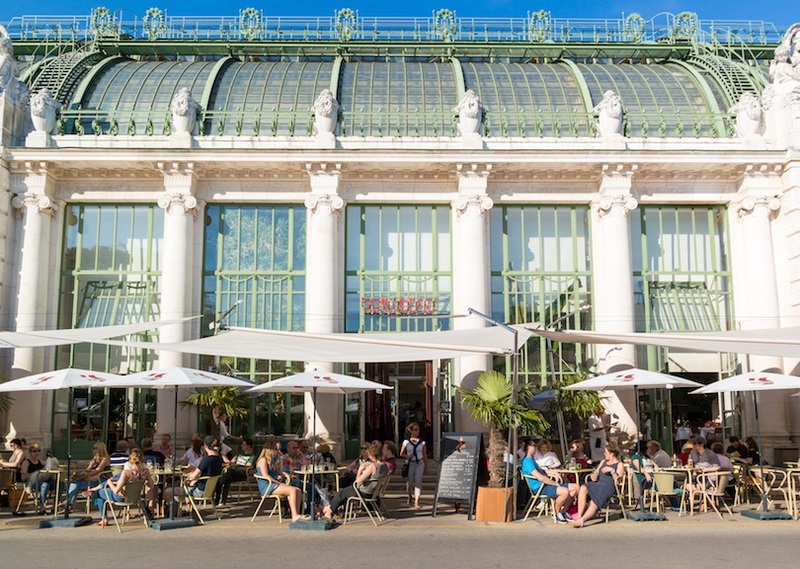 Alternatively, you can visit L. Heiner for a typical Viennese breakfast of coffee and pastry. A short walk from both Le Bol and L. Heiner is the first attraction that you should visit. St. Stephen’s cathedral a.k.a. Stephansdom is one of the primary attractions in the city. You can take a guided tour (a must if you wish to visit the catacombs) or you can take yourself around the cathedral, the Treasury and finally to the South Tower. You can give the Treasury a miss if you wish to visit the Imperial Treasury later. Just a couple of minutes’ walk from the cathedral is the next sight – the Column of Plague (Pestsäule) which was built in 1679 as a celebration of the end of the Great Plague epidemic that lasted from 1665 to 1666 and claimed about 1/4th of London’s population at the time. Another couple of minutes and you will find yourself in front of St. Peter’s Church. Though not as grand as the Cathedral you visited before, the Church is a fine example of Baroque style churches that the city is famous for. They also host classical music concerts, in case you’d be interested. Stop for a traditional Austrian lunch at Hopferi which also serves as a pub in case you wanted to grab an early afternoon beer before you continued your first day of exploring Vienna. 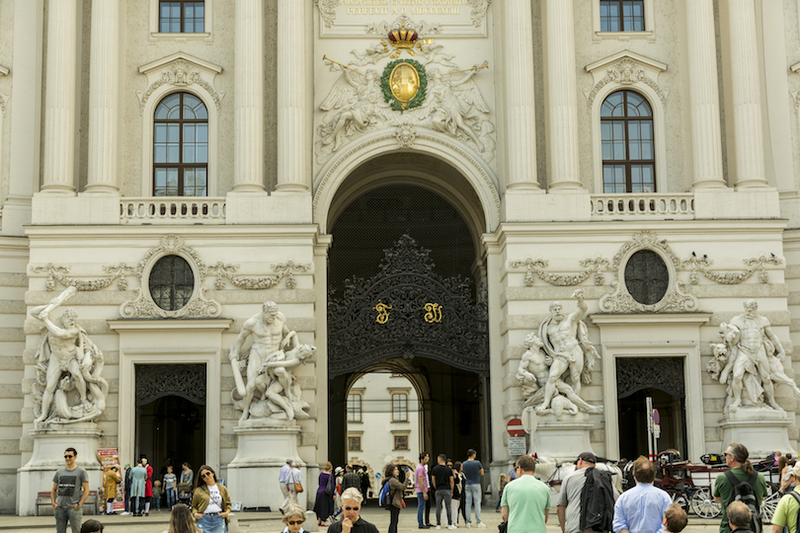 Hofburg, the former Imperial Palace, is home to three museums, the Imperial Apartments, the Silver Collection, and the Sisi Museum, which can all be all accessed with a single ticket to Hofburg. Continue walking straight to the Imperial Treasury which is not only one of the finest museums in the city but is also home to one of world’s largest emeralds. A visit here requires a separate entry ticket. About 10 minutes from the Treasury is the Austrian Parliament Building, a fine example of Greek architecture. This is where the Austrian Parliament has sat since the 19th century. Further ahead from the Parliament Building is the Rathaus, a.k.a. the City Hall. The structure looks especially spectacular after sunset. Take the metro line from Rathaus station to get to Praterstern. 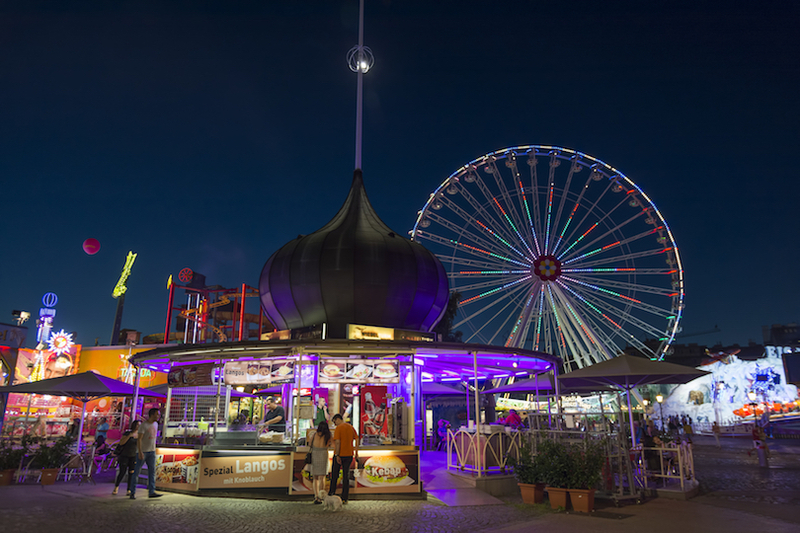 The journey takes about 18 minutes but it is totally worth it to experience Vienna Prater, especially if you are traveling with your partner. No trip to Vienna can be complete without a ride on the Giant Ferris Wheel located inside Vienna Prater, a gigantic amusement park. 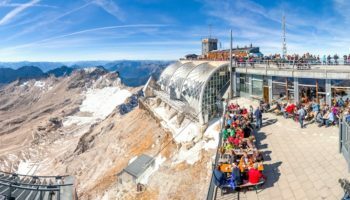 Whether you like amusement parks or not, being on a 212 feet high Ferris Wheel and enjoying a romantic dinner here will definitely be a special experience for you and your lover. 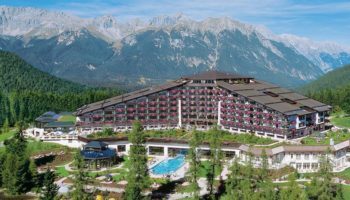 There are several other restaurants, nightclubs and a bowling alley within the park if you don’t feel like heading back to your hotel too early. Begin your day with a hearty breakfast at Ulrich and then make your way for a day filled with history, art, music and food. Naturhistorisches Museum and Kunsthistorisches Museum are two identical museum buildings that date back to the 19th century and are home to the Habsburgs’ collections. It is quite impossible to see both of them within a couple of hours so you can take your pick – Naturhistorisches has a 29,500-year-old Venus of Willendorf statue and some dinosaur skeletons while Kunsthistorisches has an elaborative collection of art and history. 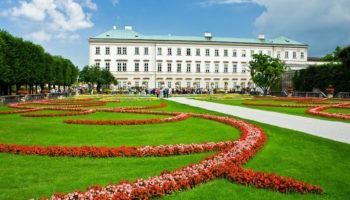 Walk a few minutes to the Burggarten – a magnificent art nouveau conservatory with a butterfly house and a splendid statue of Mozart built in 1896. From there, it is just 5 minutes to the Vienna State Opera House – take a few photos and appreciate the architecture (come back later in the evening for a live opera concert). Grab some coffee and a quick bite at nearby Café Mozart, a classic café dating back to 1929. Another masterpiece of baroque churches in Vienna, St. Charles Church is 10 minutes from Café Mozart and is a must-visit. Your ticket also includes an elevator ride to the dome so don’t miss it. If you would like to enjoy a Vivaldi’s Four Seasons concert, book an online ticket for the evening and come back to end your day with a breathtaking classical performance. On your way to the next attraction, stop by to pay respects at the Soviet War Memorial that honors the martyrs of the Battle of Vienna fought during World War II. 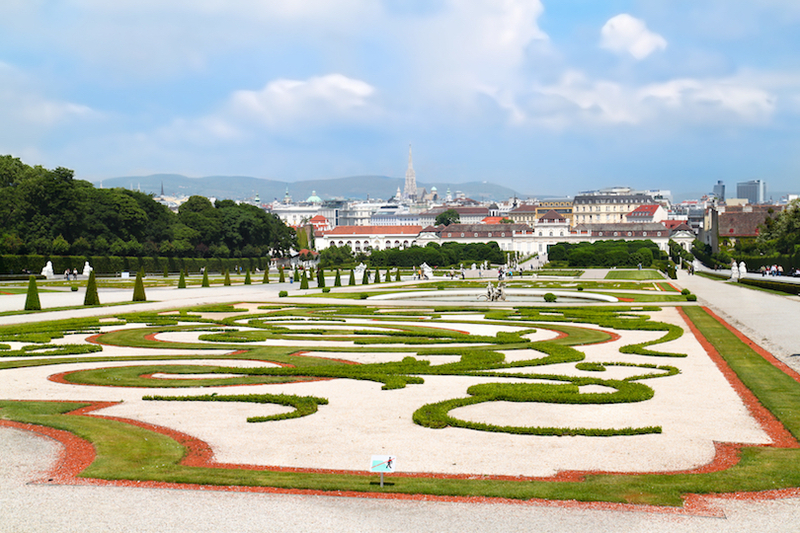 Spend the rest of your afternoon walking around Belvedere Schloss – the former summer residence of Prince Eugene of Savoy which now houses a permanent exhibition of Gustav Klimt’s paintings in the Upper Belvedere and a few temporary exhibitions and restored rooms in the Lower Belvedere. End your second evening at the iconic Naschmarket, not just Vienna’s but Austria’s most famous market for food and related products. In existence since the 16th century, the market area is highly frequented by locals and visitors from all around the world and is a great place for a sumptuous dinner and a few cocktails. The last couple of days have been filled with endless admiration of Vienna’s history, art, architecture, and music. Are you ready for some more? This is your last day so let’s make the most of it by starting with a delicious breakfast at the famous Waldemar Tagesbar. Saving the best till last, the Schönbrunn Palace, with over 1400 rooms is the former summer residence of the Habsburgs and are open to the public (40 of them). Keep the whole morning aside for this because there is a lot to see and do here, for instance, strolling through the enormous gardens, visiting the Gloriette, getting lost (and found) in the Maze, and admiring the Imperial Carriage Museum. While your at it, attend an Apple Strudel Show to see the process of Viennese apple strudel being made. Wait until the show ends to enjoy a fresh, warm piece. After spending half a day at the Palace it is only right that you sit down for a nice lunch at one of the two restaurants within the compound. 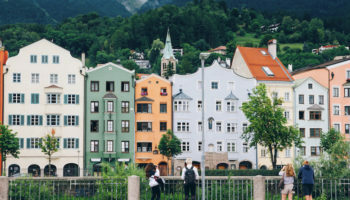 Europe as a whole is not an economical destination, so you have to seriously plan your budget if money is a factor during your travels, but that shouldn’t stop you from buying a few souvenirs or treating yourself to some new items of clothing for your wardrobe. 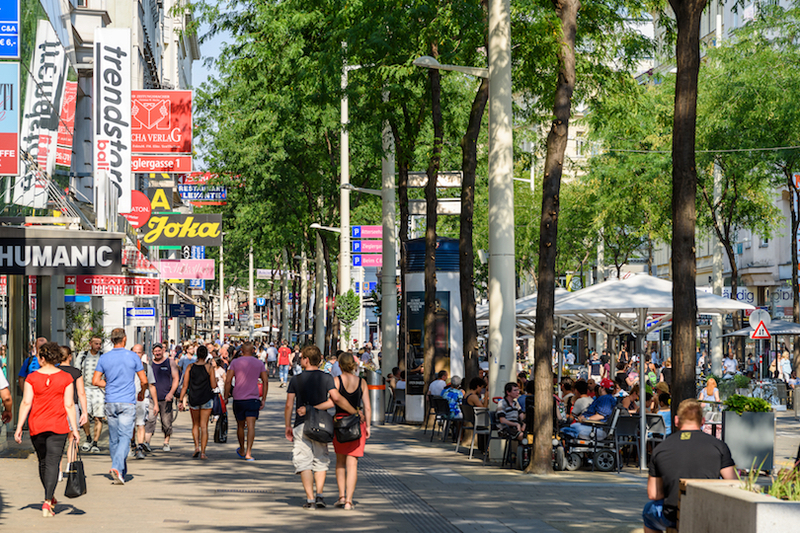 Mariahilfer Strasse is known as the city’s longest and liveliest shopping street so feel free to shop till you drop. The retail heaven can be accessed via an underground train from Schönbrunn and will take about half hour to reach. 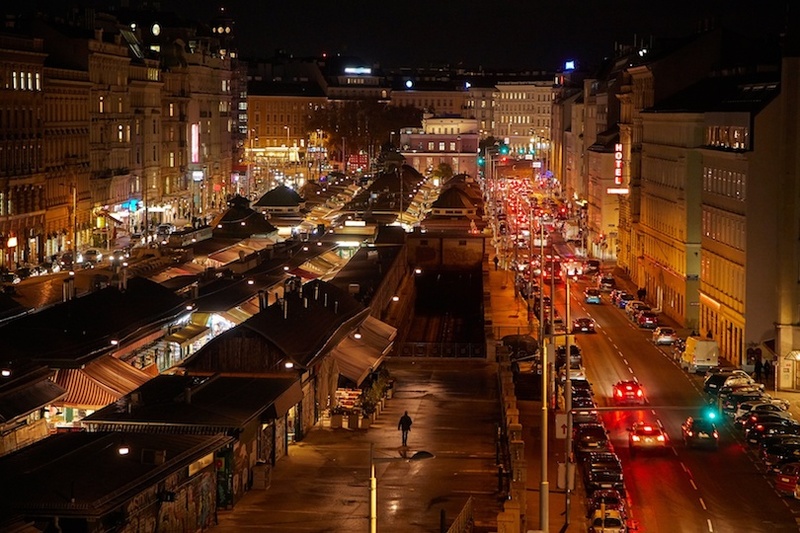 Take the underground one more time from Westbahnhof to Josefstädter Straße and find yourself in the heart of Vienna’s thriving nightlife – the Gürtel ring road. The area is packed with well-known bars and clubs such as Chelsea, The Rhiz, Loop, and the B72. Live bands, electronic DJs, chilled lounges, and a great atmosphere – this is how you should spend your last night in Vienna. The given description is excellent & breath taking I will definitely go on this 3 days visit.